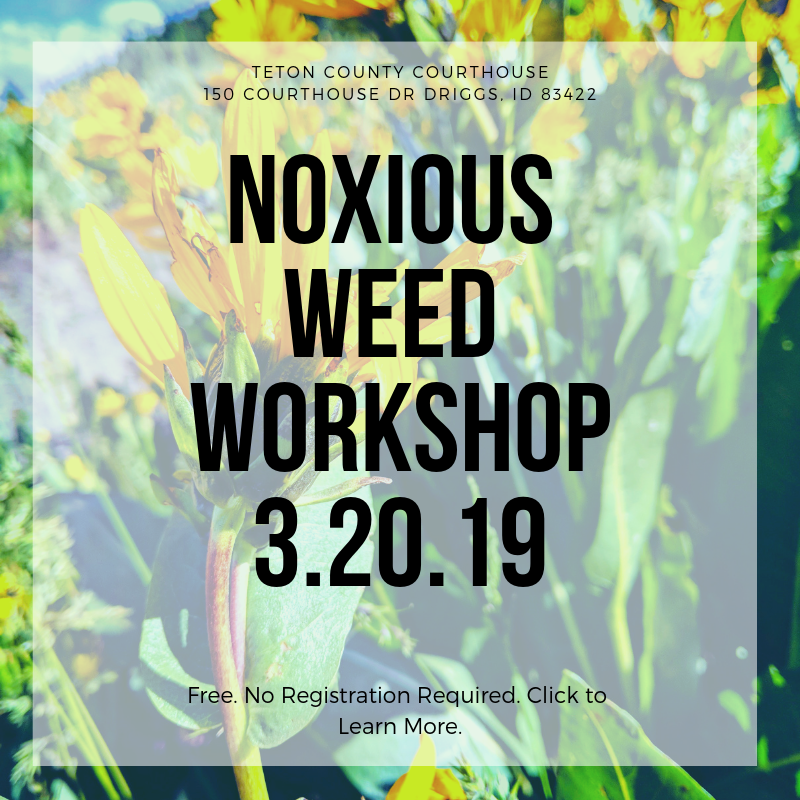 A noxious weed workshop is coming up March 20, 2019 in the Teton County Courthouse Commissioner's Chambers. This event is free, open to the public, and no registration required; it is geared toward professional weed managers, but open to everyone. Presentations begin at 9:00, please arrive earlier to sign in. This year's workshop features a great lineup of presenters including the State of Idaho Biocontrol Coordinator and a University of Idaho Weed Scientist. Click the graphic for a full agenda. Please note that we are unable to maintain regular office hours as we treat weeds throughout the County. Call ahead or email to schedule an appointment to guarantee service. Idaho State Statute requires noxious weeds to be controlled. “Noxious” is a legal designation; these species have been determined by the state of Idaho to pose a substantial risk to the environment and agriculture. Just as landowners must control weeds on their property, Teton County is responsible for controlling weeds on our properties and rights of way. Additionally, we offer consultations, equipment rental, help with plant ID, and herbicide recommendations- learn more on the Services page. 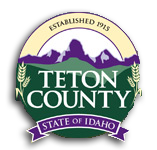 Teton County will be controlling weeds along County roads and rights of way most of the summer season. We spot spray plants and use a blue indicator die to show what has been sprayed. The herbicide is relatively non-toxic, but should be avoided until it has dried. To ensure we do not spray along your property, control noxious weeds to the edge of the road. As always, please contact us with specific concerns or for more information.